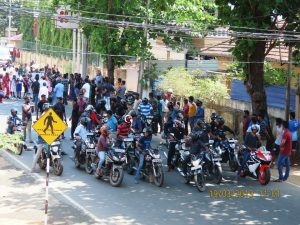 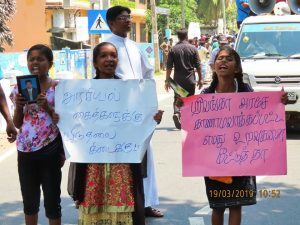 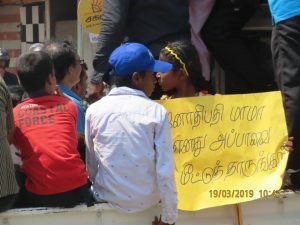 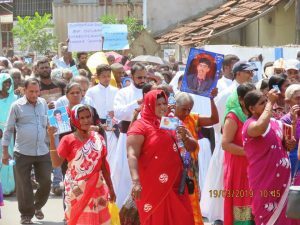 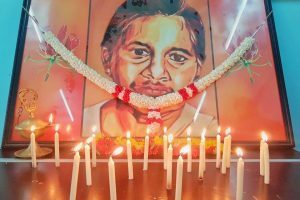 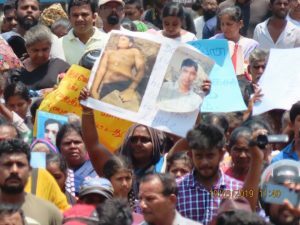 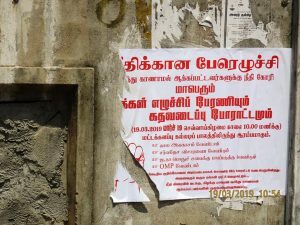 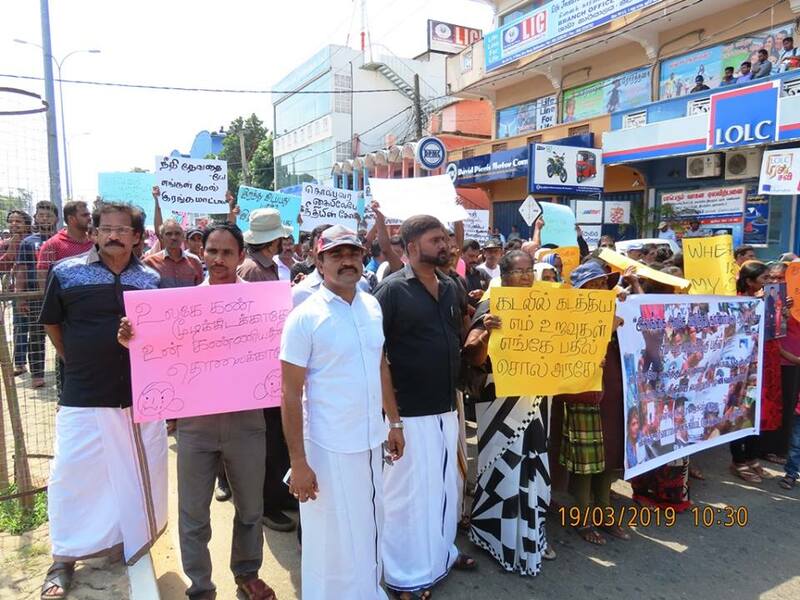 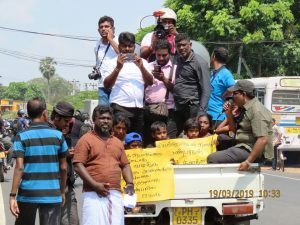 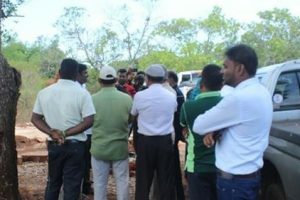 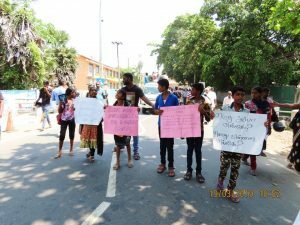 People uprising struggle, urging that the Sri Lankan government should not be provided further time at the United Nations Human Rights Council and urging the International Inquiry, has been staged in the East today (19.03.2019). 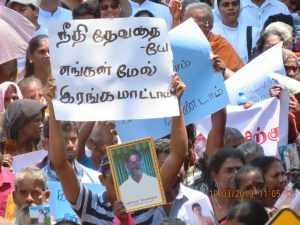 This rally which commenced at Kallady Bridge has reached the park through Railway Station road. 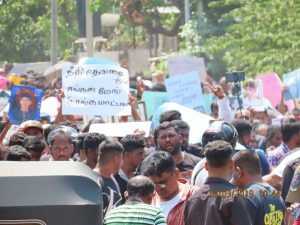 Then, thousands of people who gathered there, University Students and the representatives of the people commented their views in Media. 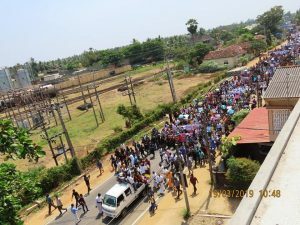 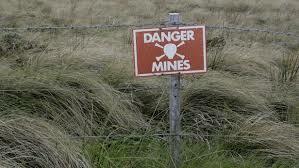 Most of the institutions and trade centers were close at the areas in Batticaloa, where Tamils are densely populated. 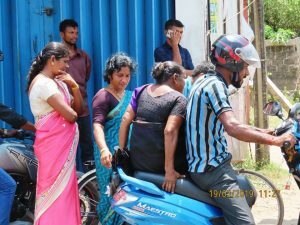 However, the public transportation was not interrupted. 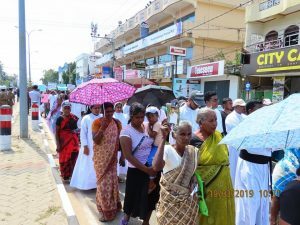 Trincomalee and Ampara districts function today as usual as all the shops are open there.